« Circle A Cycles annual open house! 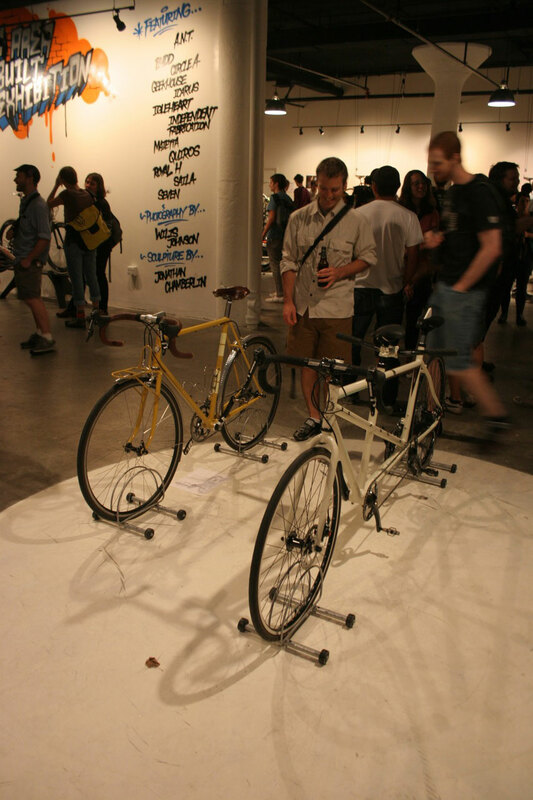 The Boston Area Handbuilt Bicycle Exhibition happened on September 23rd and was a chaotic frenzy of people. Maybe it was the free beer or maybe it was the amazing bikes that were on display but it was a great success in my eyes. Organizers Bryan from Royal H and Josh from Open Bicycle let the radius go out to everyone who could access Boston from the commuter rail so Circle A was invited too. I didn’t get many pictures but a very responsible Tony Maietta did. Check out his shots on his Flickr page. We still have one more show to go this year so if you’re in the Philadelphia area on the 30th or 31st of October, come over and say hi to us at the Philadelphia Bike Exposition. This entry was posted on Thursday, October 7th, 2010 at 8:48 am	and is filed under Circle A Project. You can follow any responses to this entry through the RSS 2.0 feed. You can leave a response, or trackback from your own site.